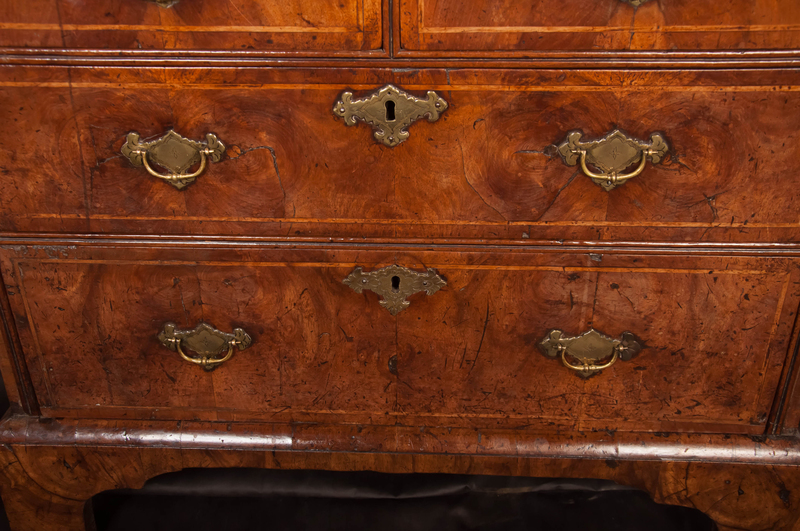 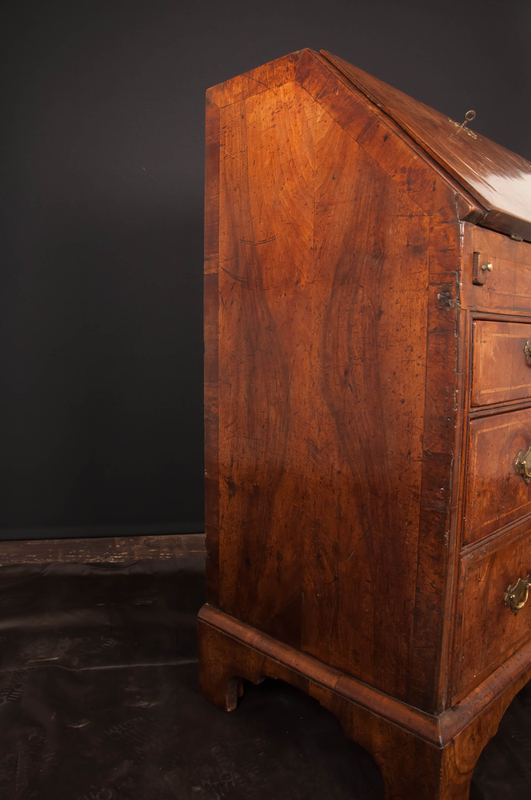 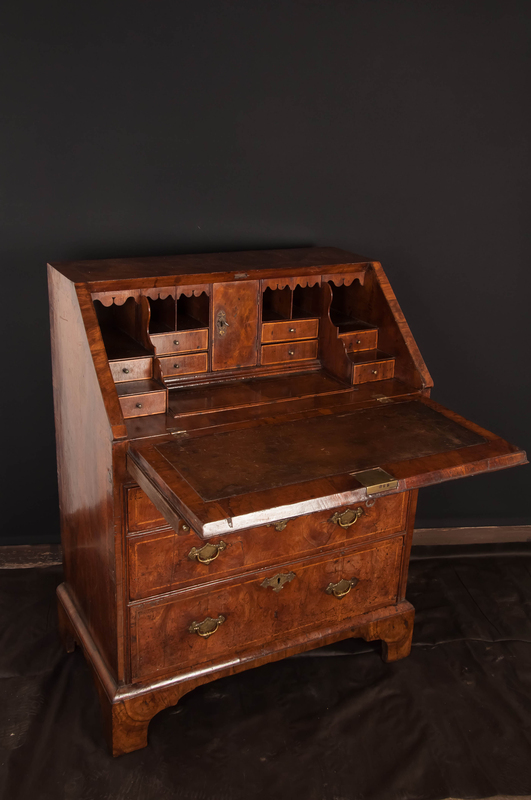 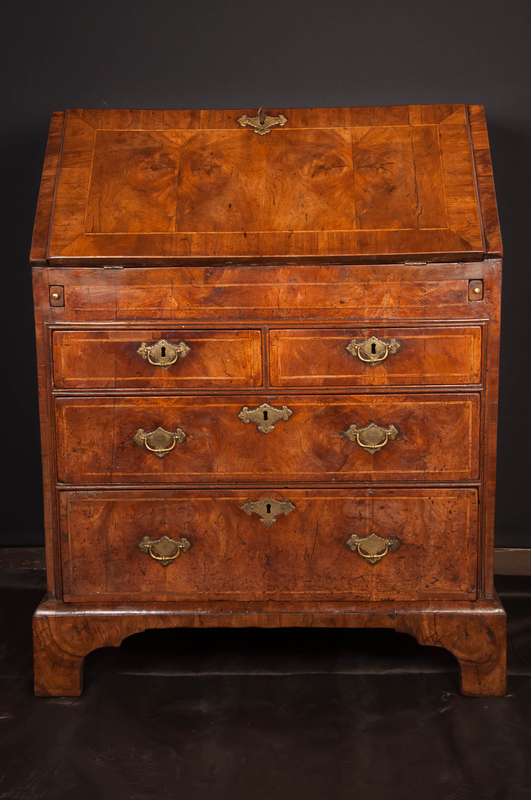 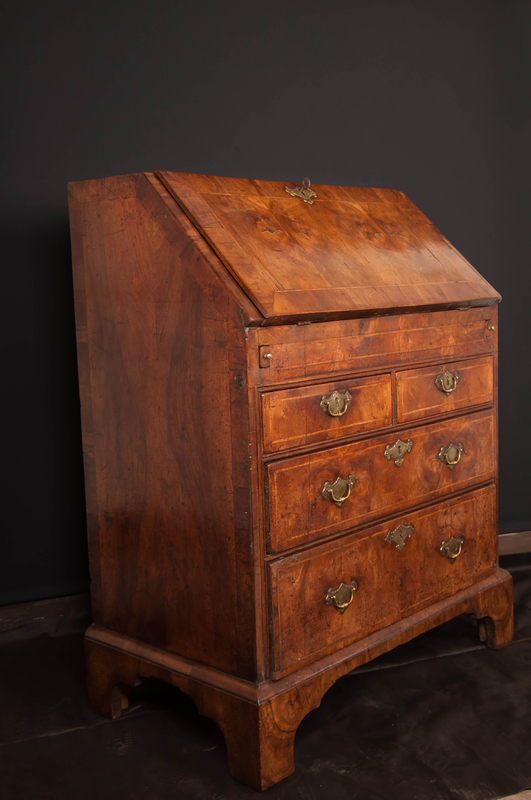 A fine Queen Ann Walnut Bureau of small proportions, well Figured matched veneers, superb colour and Patina. 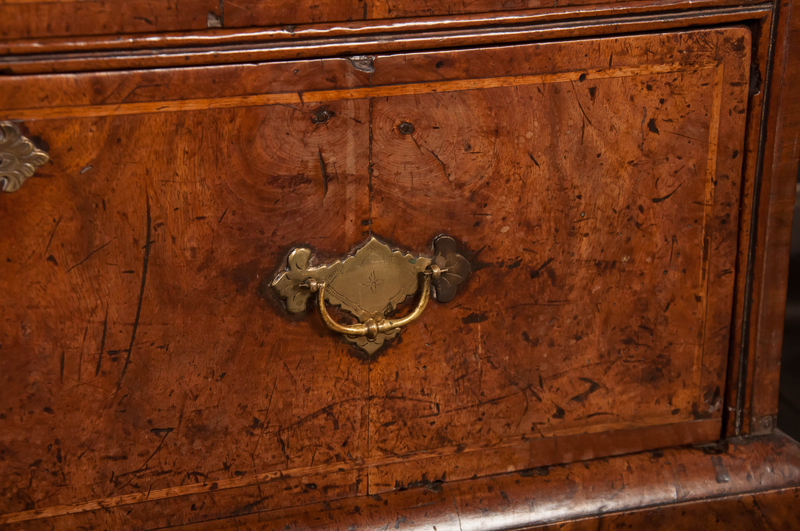 Retaining the original handles that are so typical of the Queen Ann Period with chased back plates, the locks are also original. 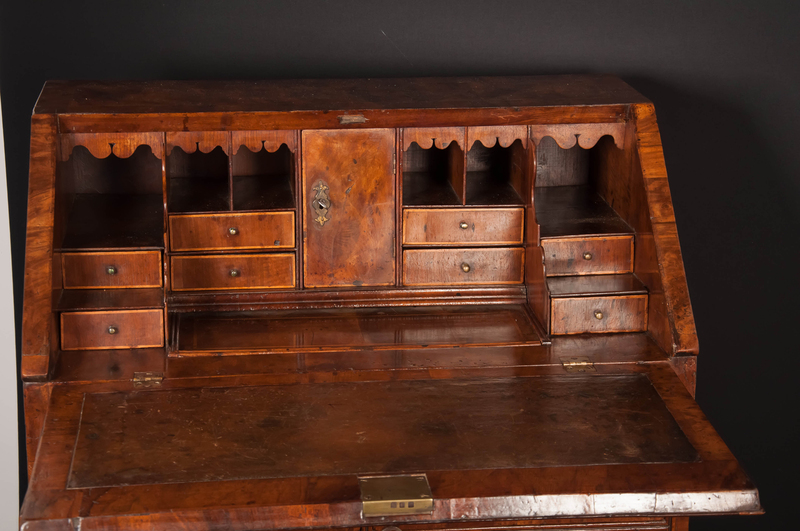 The Bureau has a box wood stringing around the Fall, drawers and interior. 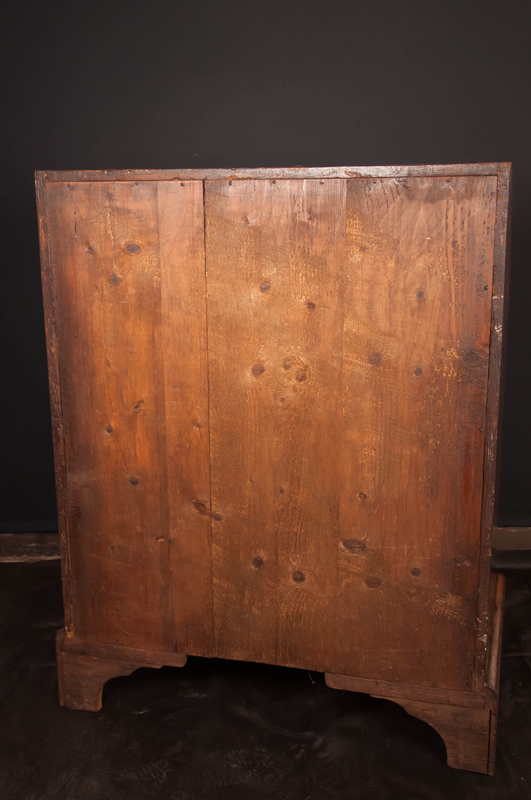 The Fall opens to reveal a fine shaped stepped interior with a central door and slide that opens to reveal a well, a feature often found in early period bureau’s. 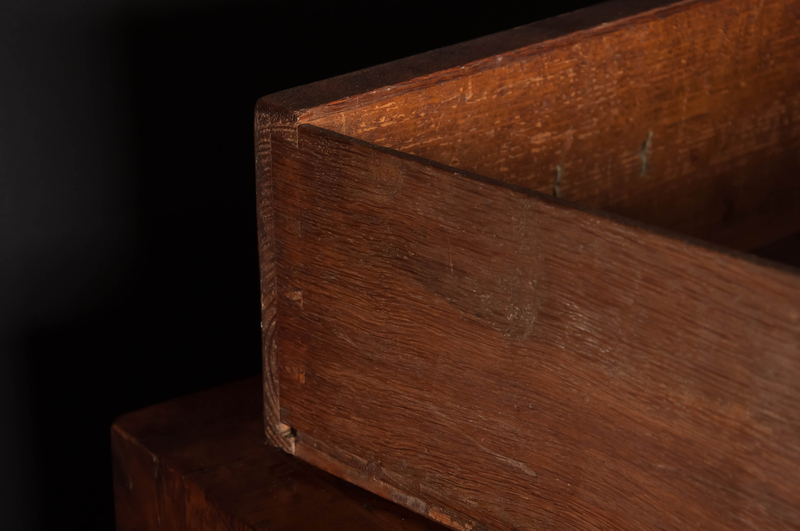 The linings are in Oak with the veneer laid on pine drawer fronts as is often the case. 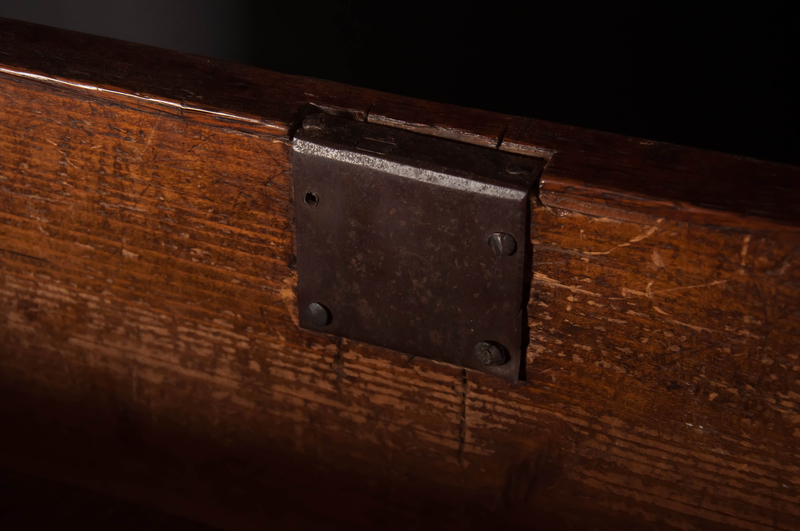 The linings are as we always like to see them in very good clean condition.